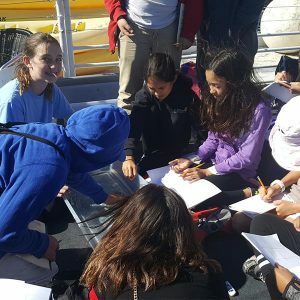 Bringing your students to Catalina Island with Mountain and Sea Adventures (MSA) gives them a personal encounter with the marine environment in such a way that enriches their understanding of applying the scientific method for field research. The first class your students attend is an introduction to setting up and keeping a field journal to record their data, observations and ideas. 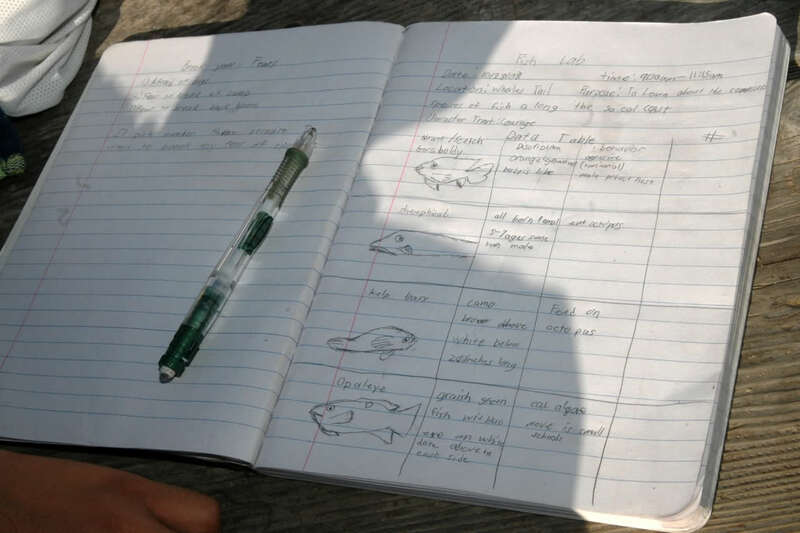 This field journal stays with them for each and every class as they go through the program, from fish lab to bird lab – they are utilizing their journals to think like a scientist and engage in their natural surroundings like a scientist. By the end of the trip the field journal has become a valuable part of the trip and we have found that many students develop a close bond with it, empowering them to continue pursuing their newfound love and appreciation for natural sciences. 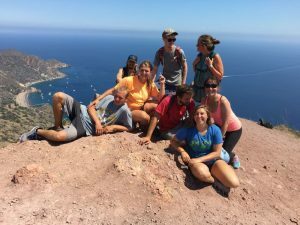 There is no doubt that coming to youth camp on Catalina improves student’s self image and self-esteem. They are confronted with personal challenges and lead by the MSA staff to face their fears and persevere to make personal breakthrough. Nearly every student has some form of aversion or fear to one aspect of camp or another, facing these fears and achieving victory over them greatly improves confidence. The MSA staff direct the students to cheer and encourage one another at all times and build each other up whenever possible. This empowers each participant to step outside of their comfort zone and make enormous strides towards overcoming their own personal challenges and proving to themselves what they are capable of when they believe in themselves. In this way, a camp program like MSA builds up the morale and solidarity of your entire class, who have many unique opportunities to learn, play and explore the awe inspiring natural environment of Catalina Island together. MSA’s proximity to the Ocean gives you the perfect opportunity to expose your students to the incredible beauty of the marine environment. We offer your students several classes about Ocean stewardship, in which they first learn about the threats and challenges to the Ocean and then get the chance to brainstorm possible alternatives and solutions. 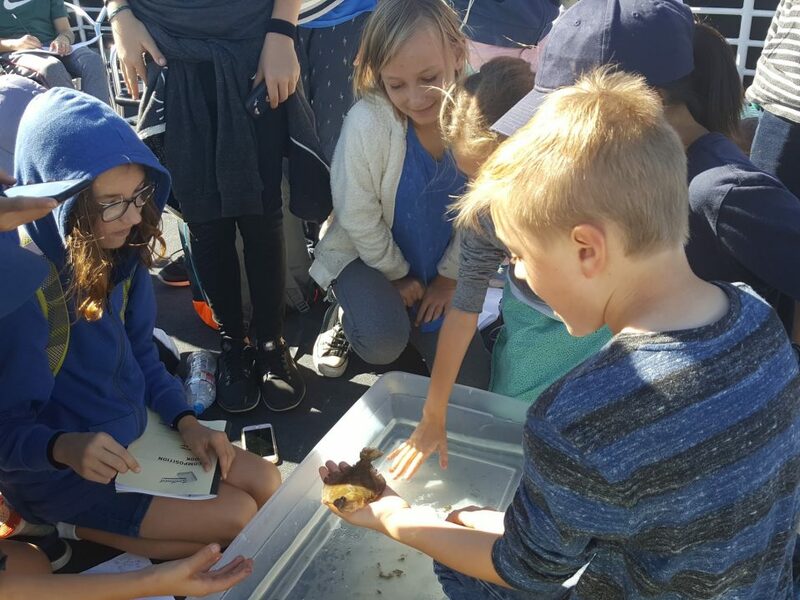 By giving your students a first-hand experience of the marine environment you are imparting a personal love and appreciation for the Ocean like no other means can. When they put on a wetsuit, mask and snorkel and put their faces under the surface of the water for their first time – they are immediately inducted into another world of mesmerizing natural beauty. People protect what they love, and the best way to ensure that our future generations will have a passion for protecting the marine environment is to give them the personal experiences which nurture that love. This is the mission of MSA: To teach outdoor education in a manner that increases awareness of the environment, raises the spirit of participants, and builds character. If you are interested in bringing your class to one of our programs, please contact a representative today at, (310) 519-3172 ext 980. 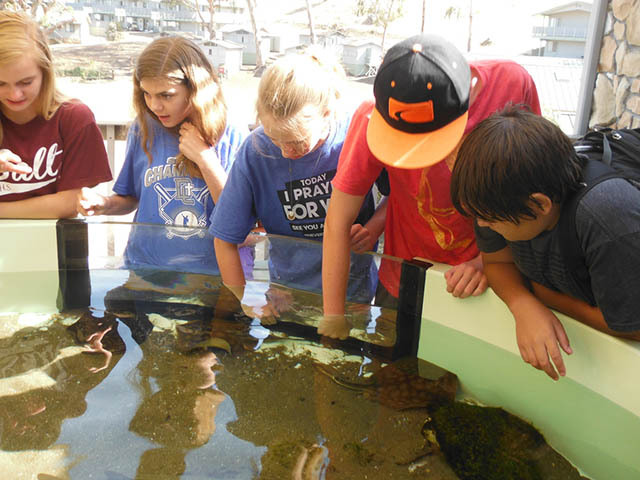 When considering a marine science field trip in California Mountain and Sea Adventures (MSA) offers both strong science and lots of fun! 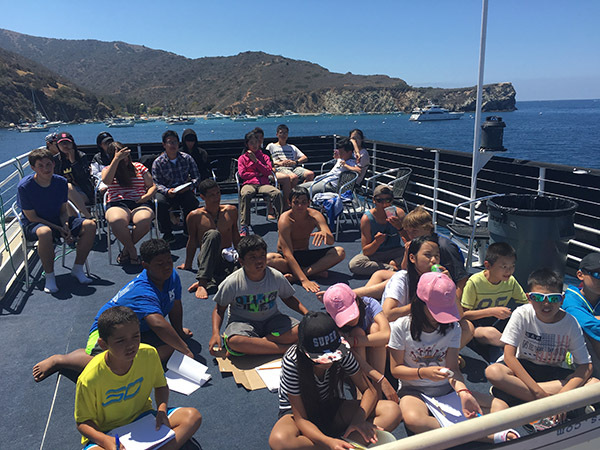 Come to Catalina Island, or stay onboard The Enhydra, and give your students the educational experience that will catapult them into a lifelong love for science. The purpose of a school field trip is to intrigue and inspire students through hands-on experiences that allow them to develop a personal understanding for the subject matter. There are many incredible destinations and options for school field trips in southern California; however, visiting the ocean is a unique opportunity that every Californian can easily enjoy. When you bring your class on a science field trip to one of MSA’s programs you are giving them a once-in-a-lifetime chance to experience the ocean environment and live like a true marine biologist. These are the experiences that spark a life long love for the fascinating world of natural sciences. MSA is a non-profit youth-based organization and has been running educational programs on Santa Catalina Island for over 20 years. The curriculum MSA offers is known to be the strongest science program on the island. Students learn to keep a field journal as they implement the scientific method to explore their natural surroundings. 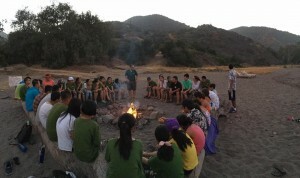 Every participant transforms into a field scientist during his or her camp and/or field trip experience. MSA offers a life-changing program. Marine science is an exciting topic for youth, who are awestruck by the diversity of life belonging to the sea. When students attend one of MSA’s programs they have the chance to stay onboard a one hundred and eight foot long marine research vessel and conduct actual marine science experiments. 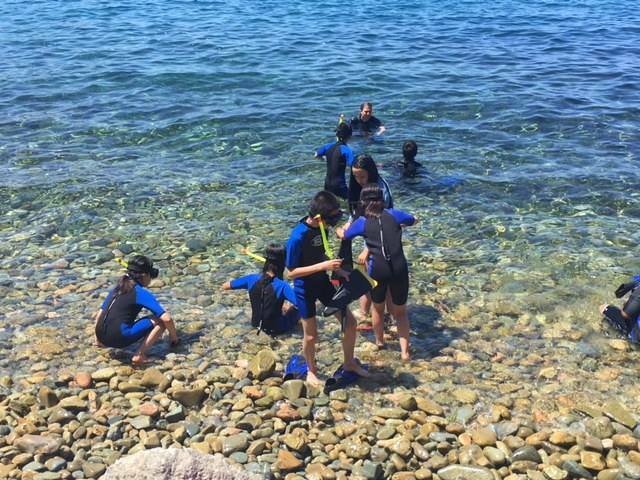 While exploring the wonders of marine science, students get to enjoy adventure activities such as snorkeling, kayaking and even scuba diving. Our expert trained naturalist staff are passionate about imparting a love for the ocean through personal hands on activities. We have found that when youth experience the various marine ecosystems for themselves, they develop a life long love and appreciation that will empower them to protect and conserve these most fragile and delicate ecosystems for future generations. A large part of MSA’s curriculum focuses on teaching strong science, imparting altruistic character traits and increasing awareness to the marine environment. The impact of plastic pollution and possible solutions are discussed with the students, and ocean stewardship is a recurring theme throughout their experience. An educational adventure with MSA, whether a five-day sea camp to Catalina Island, or a one day field trip onboard the Enhydra, is a memorable event for all that attend – and is often the experience that triggers students into choosing to pursue higher education. 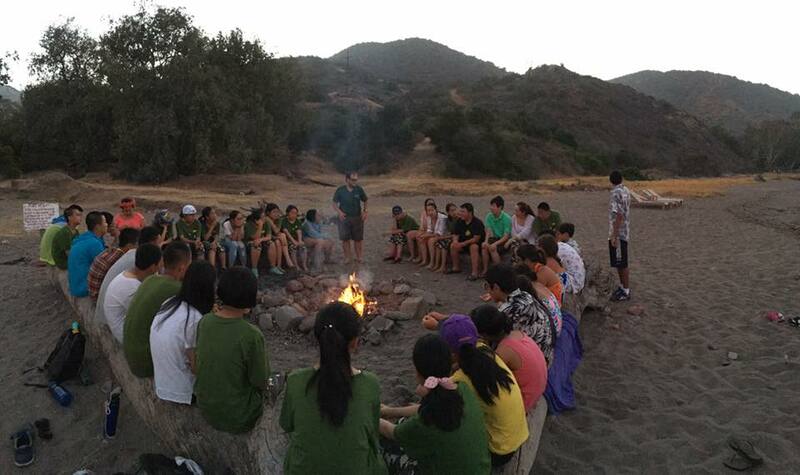 The program that Mountain and Sea Adventures (MSA) offers to teachers and students in the southern California area inspires students to pursue higher education, teaches environmental awareness and improves the self-image of each participant, as well as the overall morale of every group that attends. 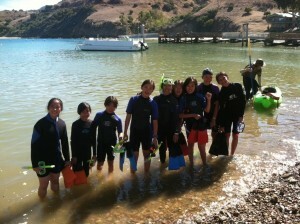 Coming to science camp on Catalina Island is an experience that children remember for the rest of their lives. Such an impactful event has the capacity to inspire greatness in each participant, many of who chose to pursue a career on marine biology or other scientific fields of study. 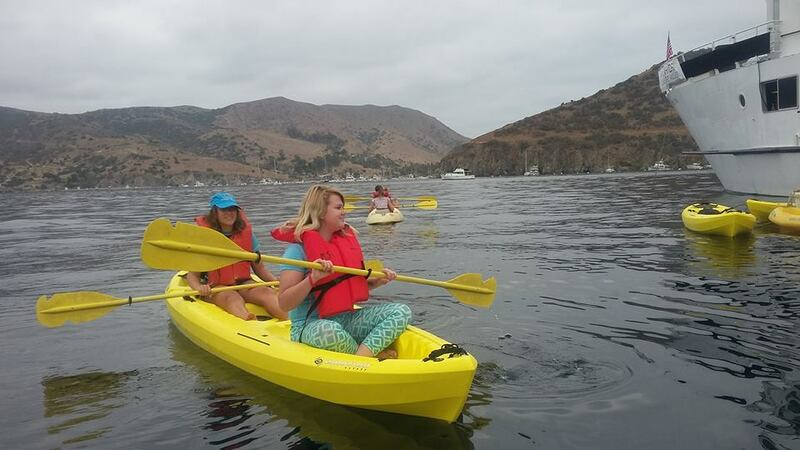 When you bring your class to Catalina Island they have the chance to experience a day in the life of a marine biologist, while also enjoying many incredible activities such as snorkeling and kayaking. Catalina Island is an incredibly valuable resource for educators in the Pacific South West; only 24 miles from Long Beach, the island offers a plethora of native and even endemic flora and fauna. Seeing the beauty of nature in it’s unspoiled state imparts a love and appreciation for the environment that cannot be learned through books and lectures. Imparting this passion for the environment to youth is incredibly important to empower them to protect and conserve these valuable natural resources into the future. The moment each student steps off the boat and arrives at camp they are immersed in the world of marine biology and natural sciences. The first lecture they attend teaches them how to transform their three-ring binders into field journals for each activity they do with their designated camp counselor. From that point forward they study and play as marine biologists, developing their hypothesis and exploring their natural environment with acute awareness. 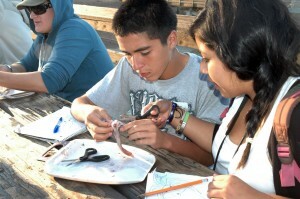 MSA offers educational and adventurous marine science camps to groups of all sizes in the southern California area. For more information call a representative at (310) 519-3172 ext 980. Programs range from shipboard sea camp to island sea camp, and even day programs in San Pedro. MSA owns a beautiful 112′ foot leisurely marine research vessel that sleeps forty passengers, not including staff and crew. Each private stateroom has two bunks, a closet and a private shower, toilet and sink. The finishing feels like a floating hotel. 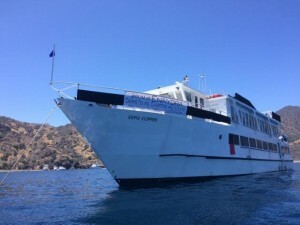 This is the perfect venue for smaller groups up to forty persons, who can stay onboard the ship or use it as transport to Catalina Island where they will stay at one of MSA’s camps. The shipboard program is a favorite among teachers whom attend MSA’s programs as it allows them a complete venue all to themselves, this allows for greater bonding as a class or group, and can be a perfect option as an end of the year class trip. 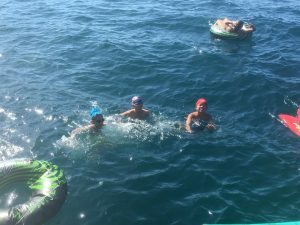 The program involves snorkeling at majestic dive locations around Catalina, kayaking, and participating in hands-on marine biology activities such as trawling for plankton. MSA’s program is strong on science and imparting an awareness for protecting the marine environment, and there is also a strong character building component in each activity, as well. Students learn about courage, fearlessness, perseverance and stewardship as they undergo the activities. 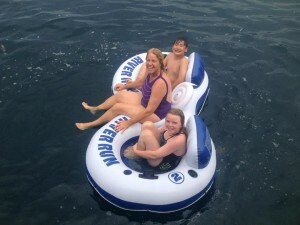 Certain program activities may challenge participants to step out of their comfort zone in order to experience something new, such as snorkeling in the Ocean, however, with the right guidance, these are opportunities for incredible personal growth where a child can prove to themselves that they are capable of achieving great things. 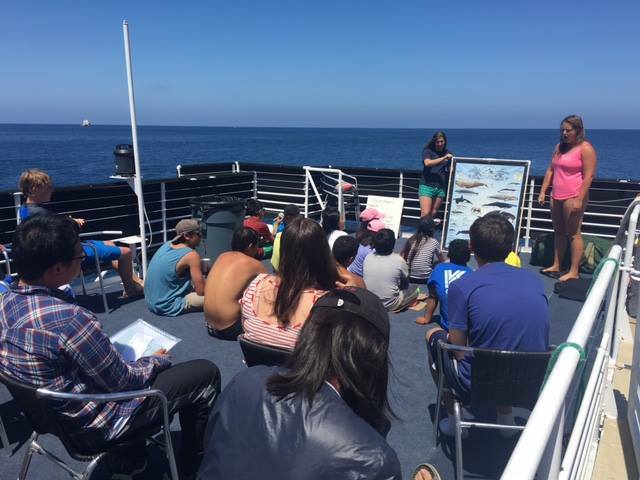 MSA’s Science Summer Camp Aboard A Marine Research Vessel! Mountain and Sea Adventures (MSA) currently offers a one-of-a-kind science summer camp onboard our hundred and twelve foot long marine research vessel, The Enhydra! 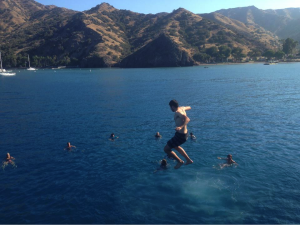 Our floating sea camp gives youth the rare opportunity to explore the various coves of Catalina Island, and experience the most desired attractions of this valuable natural resource. Science camp is an adventure and an educational experience all wrapped up in one life transforming experience. The great value of such a program is en demonstrating to youth how much fun learning is, this is a unique aspect of science camp. What is usually only discussed in text books and discussed in lectures in experienced first hand in a hands-on approach, allowing campers to discover for themselves how fascinating the world of natural sciences truly is. Our program teaches the scientific process and imparts a deep passion for the natural sciences and inquiring more into what is. Science camp is the perfect opportunity to get out into the beauty of nature, away from the distractions of the cyber world, and enjoy a week of playing together in the sun and water! Learn more about MSA’s Floating Sea Summer Camp here! MSA’s science summer camps for middle and high school students are currently offered for youth ages nine to seventeen. They come aboard the ship in Los Angeles Harbor and begin the voyage to Santa Catalina Island, enjoy exciting and adventurous activities day and night for six whole days! Participants can look forward to learning about local marine life as they experience snorkeling in the most prestigious dive spots around the island. They learn about birds and then go for a kayak tour to local nesting spots. We study terrestrial flora and fauna and then hike the trails of the island. And enjoy many other exciting activities such as surfing, jumping from the top deck of the ship, exploring sea caves and remote island beaches. MSA’s floating sea camp is the most interactive marine biology summer camp in California, allowing youth to develop their passion for the ocean environment. MSA currently runs programs for school groups during the school year at their premier location at Emerald Bay, which gives the staff a great amount of experience both learning and teaching marine biology. Summer camps in California are a dime a dozen, but nowhere else in the world will you encounter a program with so much to offer as this one! A Passion for Building Character in Youth! MSA is passionate about building character in youth, each camper who attends this life-changing program has the unique opportunity to develop aspects of themselves they may never even knew existed. Simply coming to camp and being out of their daily environment and comfort zones allows for this chance to build character. Each activity has a character trait that we focus on imparting to the campers, such as courage, perseverance, and stewardship. MSA’s marine biology science summer camp on Catalina Island is always the highlight of the summer for each person who participates. Campers make new friends, learn social skills, break their fears and inhibitions, and discover a lifelong long and appreciation for the wonderful world of natural sciences. When it comes to the most memorable summer programs for kids, Mountain and Sea Adventures (MSA) provides a camp experience unlike any other. Your child spends six days and nights exploring the very best of Santa Catalina Island, while living aboard a fully stocked marine science research vessel, The Enhydra! Living in southern California has many benefits. There is never any shortage of resources and things to do. There is a variety of local summer camps to chose from, however, MSA’s shipboard program is one of the best kept secrets in the heartland. 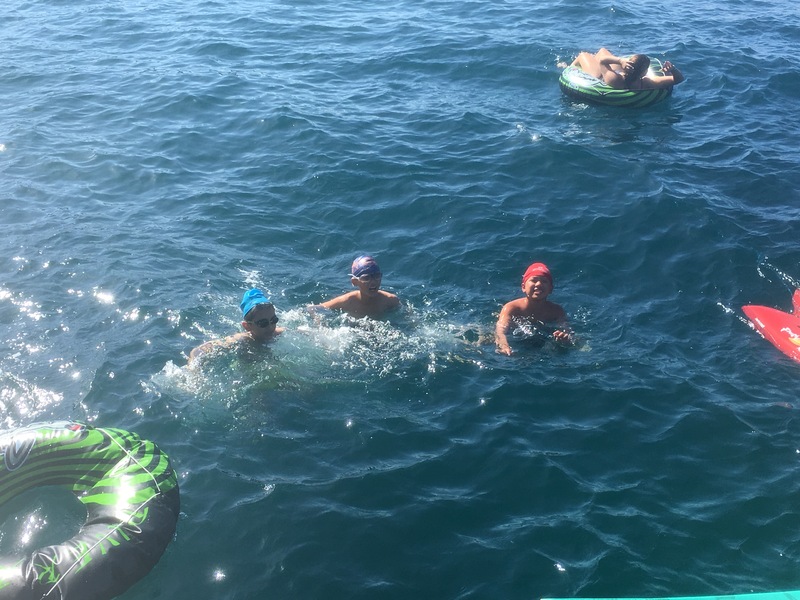 Not only do they get to explore one of the greatest resources in California (Catalina Island), but they get to do it all from a floating hotel fully stocked with all the gear and equipment necessary for a week of fun in the sun! We depart from Los Angeles Harbor and set our heading directly for Catalina. Upon arriving at this ecological paradise, we immediately begin immersing ourselves in the fascinating world of marine biology and natural sciences. Activities include kayaking, snorkeling, plankton trawls, microscope labs, hiking and stargazing. There are truly no other local summer camps in the southern California area like MSA’s floating sea camp! Not only does MSA’s floating sea camp have more to offer than any other summer camp around, but it is fairly priced for low income families, allowing all to attend whom have the interest to. Just do the comparative research and you will see! We are very proud to be able to offer this life changing summer camp for low income families, and are constantly seeking ways to increase the quality of our program and decrease the costs! Learn More About Floating Sea Summer Camp! One of the most valuable things MSA has to offer summer campers during summer floating sea camp is a program that is both fun and educational. During the school year we run outdoor education camps for schools coming to the island for their annual field trip. The MSA staff is very knowledgeable and has a tremendous amount of hands-on experience working with youth of all ages and backgrounds. Our well-trained staff are each lifeguard certified and passionate about imparting a personal love and appreciate for the marine environment. Floating sea camp is a unique program in that it combines adventure activities with hands-on field science. Students learn the scientific method, how to keep a field journal and how to think like scientists. An educational component before each activity enriches the camper’s experience of the environment they are about to enter into. Each participant that attends MSA’s floating sea camp aboard the Enhydra learns new skills, develops aspects of themselves, builds character, makes new friends and report that this week was the highlight of the summer, which they will remember the rest of their lives! Mountain and Sea Adventures (MSA) has been running the most life changing summer programs for kids in California since 1998. The specialize in imparting a personal passion for the marine environment through deep immersion and personal hands-on experience. During their time at camp, each participant is effectively a field biologist as we conduct actual on-going scientific data from our experiments and activities, and analyze the results. Learning to view the world as a scientist has a life changing effect, and often sparks a life long love and appreciation for the wonderful world of natural sciences. MSA is currently offering the most unique summer program for kids in California. Campers come and stay for an entire week aboard a one-hundred and twelve foot long marine research vessel, fully stocked and staffed for the best time of your life! The friendships developed during this incredible adventure remain long after the journey, as we explore some one of the natural greatest resources in North America all together. Cruising around the island allows campers to see all the very best that Catalina has to offer, while having all the comfort and luxury necessary without getting too distracted. There is no Wi-Fi while underway on the ship! So campers are forced to exercise alternative means of communicating and interacting with each other, old school style! 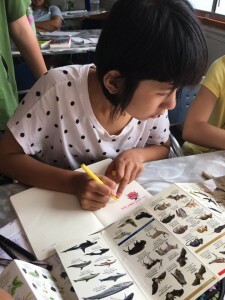 This is one of the most valuable and important aspects of what this one-of-a-kind summer program has to offer, as students develop interpersonal communication skills and healthy means of self-expression. The Enhydra can comfortable house, feed and entertain forty-five people in dignified class and style. With all the water toys and gear you can ever imagine, as well as a fully stocked and catered galley, dining area, multiple congregation areas and decks, and private cabins for snug sleeping – campers are supplied with everything they need to enjoy the island and ocean. 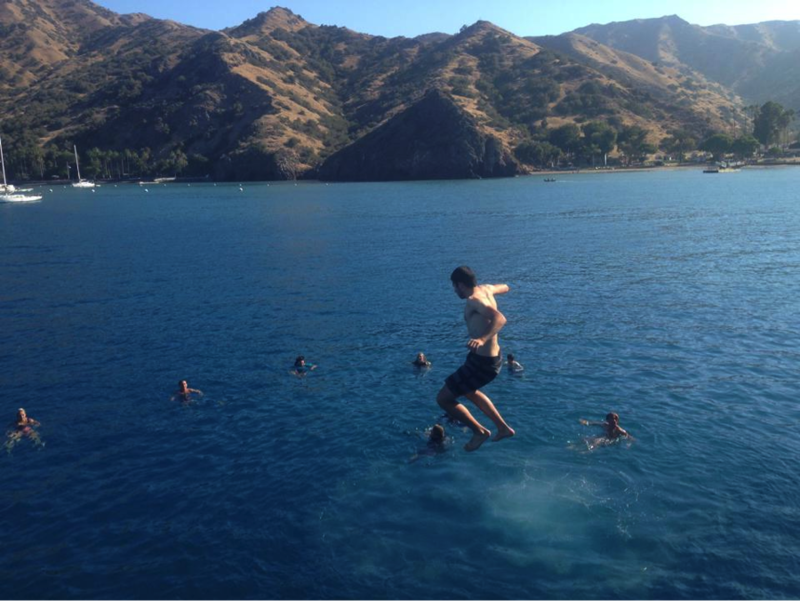 Shipboard Catalina Island Summer Camp is the highlight of every participant’s summer! The staff looks forward to greeting returning campers year after year to play in the sun and sea, and begin another series of adventures together! 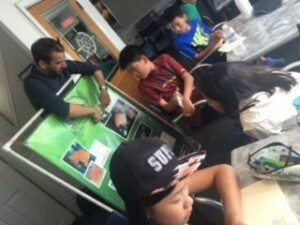 All the summer program for kids and teens include a brief lecture to introduce them to the various elements of the habitat they are about to enter, as well as time after each activity to journal and develop their field research projects. 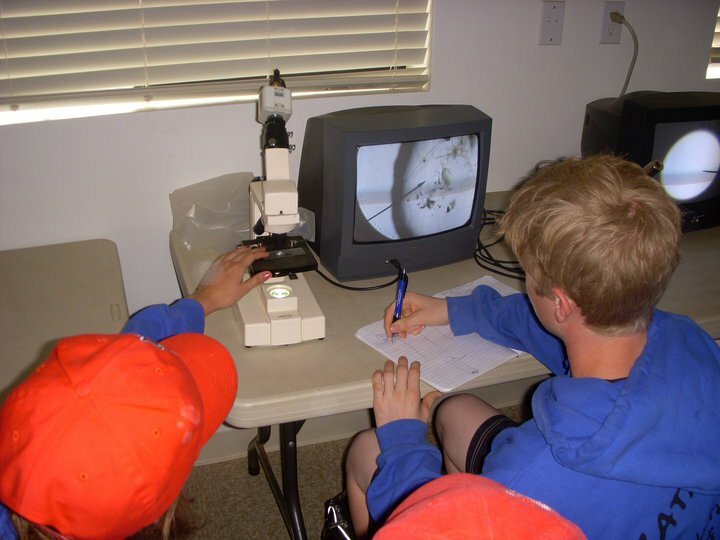 Campers quickly discover that science allows them to go deeper into the natural world and notice various patterns and relationships with increasingly greater acuity. The discovery for the potential of science structures the opportunity for campers to allow their senses to blossom, as they use their own eyes, ears and other faculties as instruments in their scientific observations and investigations. The camp counselors encourage each student to write a conclusion after each session, as well as develop a hypothesis about what ever they have chosen to research. 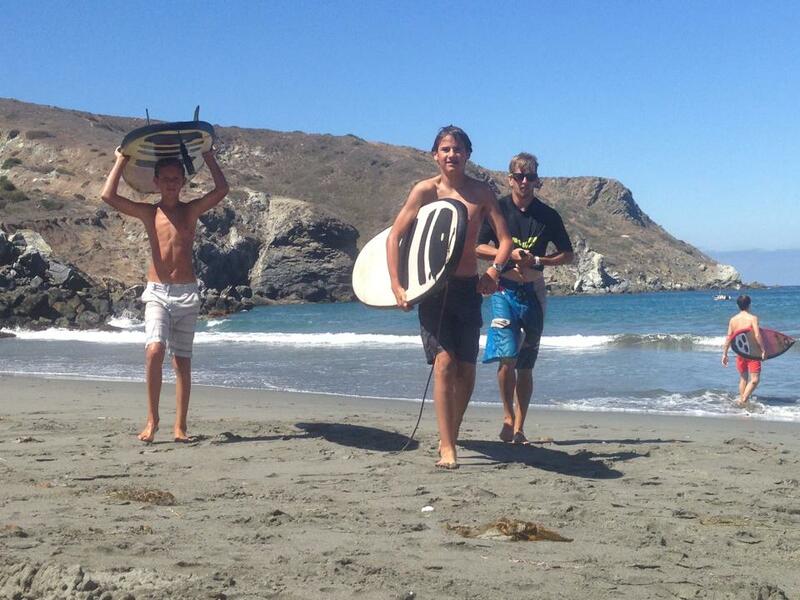 MSA also offers two different locations of day camp summer programs for kids in California. MSA is proud to present the Newport Beach community and residents of surrounding cities with the valuable opportunity to send their children to summer day camp at the Department of Fish and Wildlife’s facility in the Newport Back Bay. This facility has everything from salt water aquariums and touch tanks, to high-tech classrooms and labs. This is the ideal location for teaching environmental awareness! The Newport Back Bay has many other amazing resources, which the staff guide the campers through on kayaks, canoes and outriggers. They also frequently visit the Newport Dunes where they have beach play time, and a barbeque every Friday afternoon. The summer day camp program for kids at Cabrillo Beach services residents of San Pedro, Long Beach and the surrounding communities. Programs are held at the prestigious Cabrillo Youth Center; which has a swimming pool, large waterfront and pier, multiple classrooms and lot more! 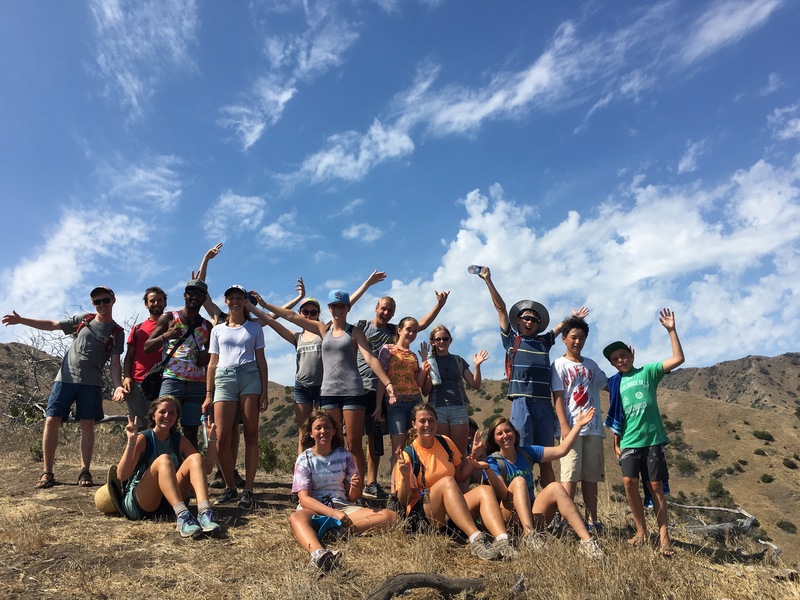 This summer program for kids in California focuses on environmental stewardship and imparting virtuous character traits such as courage, inspiration and social skills. The best summer camp activities are both educational and inspiring, uplifting the spirits of all who participate, and creating an atmosphere where campers discover that learning is not only fun, but the most interesting thing they could be doing! There is something magical about Catalina Island that allows all who visit the opportunity to make contact with the primal elements of nature in one of the most pristing and beautiful natural settings in the world. 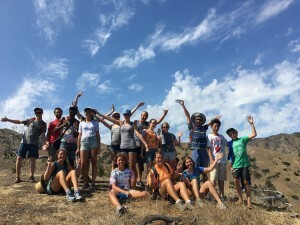 Mountain and Sea Adventures (MSA) has been running programs on Catalina for over 20 years, and has developed many of their own popular and exciting science camp and summer camp activities. Surfing, boogie boarding, body surfing! Sounds innocent enough, right? Of course! Unless, that is, you have an imagination that runs wild! The ocean is indeed tremendous, and reminds even the most experienced sea-faring voyagers how small they are in comparison, from time to time. 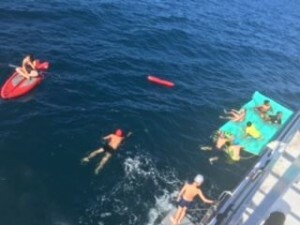 Swimming in the ocean is a perfectly safe summer camp activity that MSA constantly does throughout the day, especially since their program is based off a fully equipped marine research vessel! This activity gives campers the chance to overcome any self-imposed limitations and irrational fears, while structuring the opportunity for them to enjoy one of California’s greatest of resources. Something amazing happens when a first time snorkeler puts their face in the water and opens their eyes, suddenly they see this entire new world before them. The marine world is one of majestic beauty and hidden wonders of every kind. The more you look, the harder it becomes to turn away. That which before seemed mysterious and potentially frightful has now become real and open to further investigation. The snorkel tours MSA leads as one of their summer camp activities often allows participants to experience more than four marine ecosystems in one session. 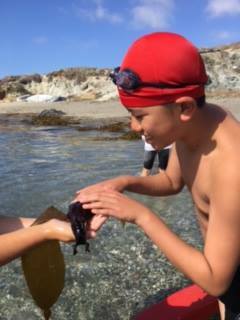 Campers also get the rare opportunity to snorkel in the oldest protective cove on the island, seeing a plethora of marine life such as bat rays, leopard sharks, Garibaldi, kelp bass and plenty others! Exploring Catalina Island on a small one or two man craft is a real joy for everyone, the freedom allows for you to explore and experience the wonder of the island on your own. The MSA instructors often have the campers bring their snorkel gear and a chaser boat with packed lunch as they head off an a kayak adventure to a hidden cove or remote island beach. After beaching the kayaks, the campers have time to snorkel, swim and enjoy some leisure time on the beach. Kayaking pushes youth to their limits, as it is a lot more work than it looks! It is easy for our arms to get tired easily, and to want to stop paddling – but the camp counselors continually encourage the campers to persevere and keep on going! Surfing, Boogie Boarding and Body Surfing. Visiting the backside of the island is one of the highlights of the MSA summer camp experience, which has a beautiful oasis like campground called Little Harbor. Beside Little Harbor is Shark Harbor, which is a popular surfing beach for locals and adventure seekers alike. The MSA staff teach the summer campers how to surf first on the beach and then in the water! Some prefer to boogie board or body surf, which never gets old! I don’t care how you do it, riding a wave is one of the best feelings in the world. 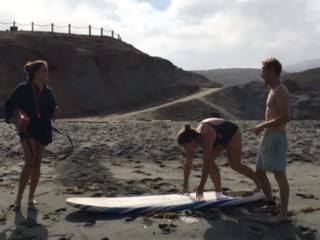 It is always interesting to see how many teens and kids are intimidated by surfing and see it as being outside their skill range. This is the perfect opportunity to show them that they are greater than their fears and limitations, and that each person sets their own boundaries in life! 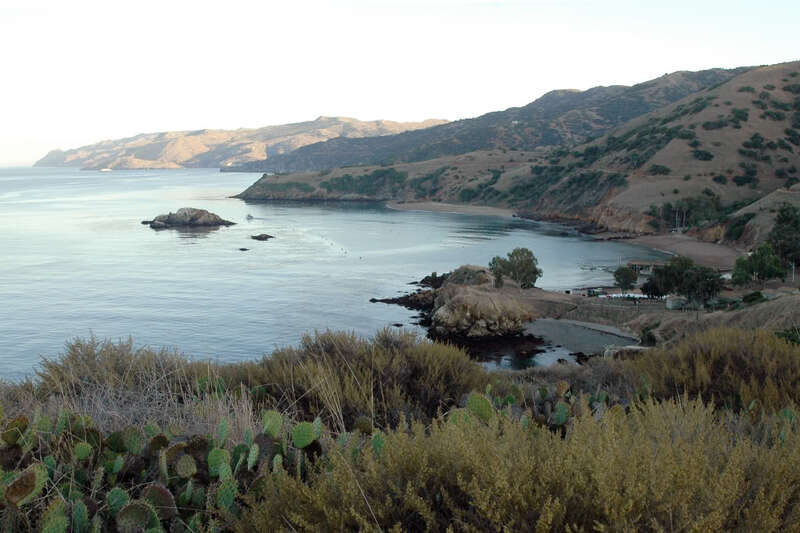 Being surrounded by the beauty of immense beauty of nature, such as that experienced on Santa Catalina Island, fosters a deep personal love for the marine and island environment. 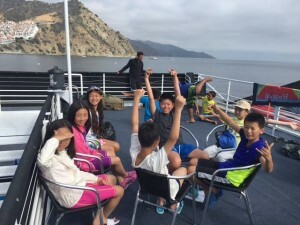 If it is true that we protect what we love, then a week exploring the numerous adventures and precious resources available on Catalina is one of the most valuable educational experiences a child can have. Immersing youth in the raw beauty of nature allows them to begin thinking like a scientist. All of MSA’s summer camp activities have a brief fifteen-minute lecture phase to introduce the campers to any various animals, plants or other habitat factors they may encounter. When they see these creatures in their natural habitat during the activity, knowing some facts about it already drastically enriches the experience. An integral part of the MSA program is keeping a field journal. This allows students to have their own personal research project to develop during their camp experience. They are led to utilize the scientific method as they gather and organize notes and data gathered during the various activities. 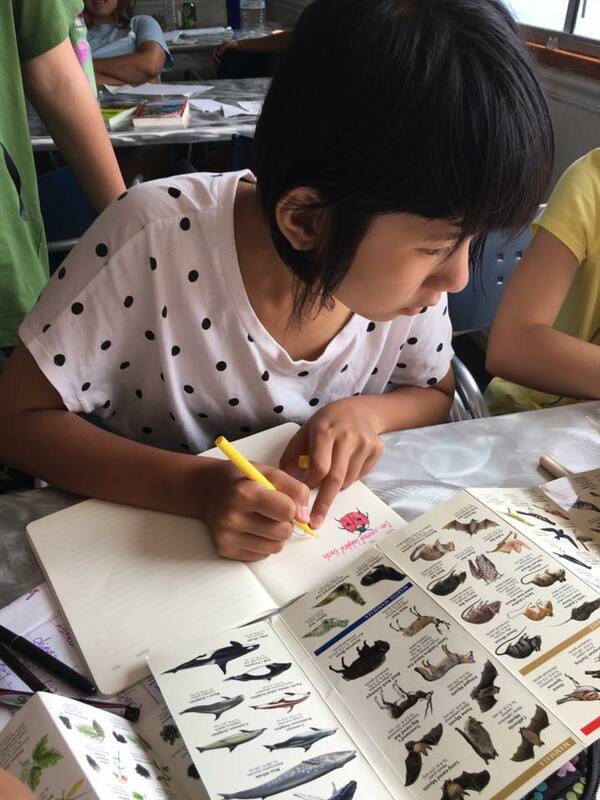 Keeping a field journal augments all of the MSA summer camp activities; as the more each student delves into the world of natural science, the more they are able to notice patterns and relationships that inspire further investigation. Emerald Bay is on the west end of the island and is home to one of the most popular marine biology camps on Catalina, run by Mountain and Sea Adventures. This cove is naturally protected by a small point and rocky reefs, creating a safe and calm estuary for marine life to thrive. The gentle ocean conditions allow campers with limited experience swimming to safely enjoy such activities as snorkeling, kayaking, and free time playing on the beach. The facilities at Emerald Bay make it among the most elite marine biology camps on Catalina, with a fully functional salt water aquarium allowing campers to see more than four various local marine ecosystems, as well as the opportunity to pet a shark or ray in the shark touch tanks! The very first activity upon arriving at class teaches students how to use a field journal and begin organizing their field research notes to form their own hypothesis and conclusions. Each class has a lecture phase and a corresponding field activity, allowing campers to develop a personal understanding and love for the world of natural sciences. Upon stepping off the boat, students are immediately surrounded in an the awe and beauty of one of California’s most cherished natural resources. The Channel Islands are only a short boat ride away from southern California coastal communities, but is so undeveloped and abundant in wildlife that it feels as if they have arrived to a distant and remote island paradise! Emerald Bay is the most remote camp on the island and the furthest camp towards the west end. Which means campers staying here often see a lot of wild life, from deer to bison and the endemic Island Fox, found only on Catalina! Also frequently seen are bald and golden eagles, and a plethora of marine mammals, sea birds and other forms of both terrestrial and marine life.